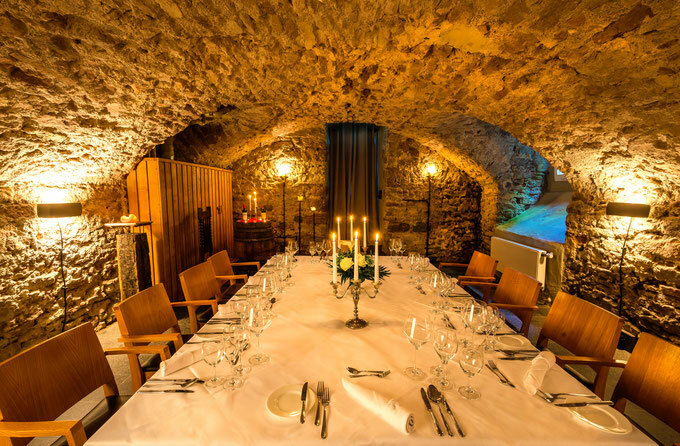 The old monastery cellar with its rustic quarry stone barrel vault is the ideal place for your small private party. Perfect for group sizes from 8 to 28 people, whether for wine or schnapps tasting, a rustic monastery buffet or an exquisite 4-course-menu: very atmospheric and exclusive. You can also make your wedding vows here! The Klosterkeller is the official branch of the Hillesheim register office.